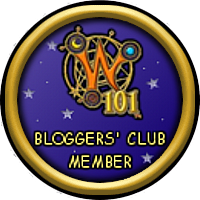 The dragonspyre pirate: Tips and tricks for blogging in the 101 community! Tips and tricks for blogging in the 101 community! 1. Create a theme for your blog, like a world or place or thing in the spiral! This leads to some easy decisions, like blog backgrounds and little things to make it feel more unique. My theme is Dragonspyre and Pirates. So I have a Dragonspyre Skyway background and my view counts are called "crew mates". Its fun to do, makes it feel more like the spiral, and helps with the decisions that require more creativity. 2. Advertise on every platform you can. These include but are not limited to: Twitter, Facebook, Instagram, the Wiz/Pirate amino app, the official boards, and even central! However, don't do just ads, talk to people, like things, follow people, make it so you aren't just a blog but a person as well. Sure advertising is great, especially for non official sites but just advertising gets you no where since people don't want to spread something with no personality. This goes for any platform you advertise as well! 3. Make connections then ask for some support! For example, I'm friends with Edward Lifegem, Autumn Dreamwalker, and Kelsey Fireheart (to name a few) but I don't constantly ask them to retweet unless I really like the post or feel it should be shared. If you are going to ask people to retweet and share your content (especially some of the bigger fish) make sure you get to know them first. Talk to them sometimes, show your content is good and appropriate for them to share, and most of all, let them decide for themselves if they want to share it. If not, that's fine. But making connections with some of the big fish in the community is a great way to gain attention, plus you will make a friend as well! But do try and not just rely on them, most of my views are from my own advertising and not others doing it for me! 4. If you see some official sites looking for writers, don't be afraid to sign up! This goes along with making connections but it also provides experience in the official part of blogging. It could lead to some great things as well! You know how I mentioned Kelsey Fireheart? She started to support me more after I applied to be a writer for her! None of my articles made it but that's fine since they probably could have been done better. My point is, to get as much experience as you can while making a name for yourself. Plus, when you are trying to become official, it doesn't hurt to have some already official fan site articles under your belt. 5. Offer something unique! Sure you need unique content, but try and offer something not many if any people can offer! I think in a logical manor but I have a very creative and active imagination, so I offer theories that get you to think about the game more! If you do something like everyone else, you are going to have a hard time making content and becoming official. That's all that can be said about that! 6. Write what you write best. This is along the lines of number 5, but still, it's important to write what you are most comfortable writing. Your articles seem more natural and unique and have a certain personality to them. It feels better than reading an article that's forced and you can write it quicker with better results! 7. Ask for advice from everyone you can! I owe my success to people like Tom (the friendly necro) and the Nordic Champion as well as Ed and Autumn because they helped me build my site and give me ideas! Don't misunderstand I did everything but they gave me invaluable advice. I think most official bloggers would be willing to help you, even if they don't know you. 8. Its okay to take breaks. You might be worried you have to post non stop, but you don't! I've been at this a few years now and I've taken a few brakes because they were needed. Sure it won't help you becoming official but its best not to force yourself to write and produce bad content. I had to take a break in the middle of my submission to become official because something came up. But after that I resubmitted and its all good now. If its writers block or a family emergency take a break if you need it. Its bad in the short run but good in the long run. 9. Weird number to end on but, don't limit yourself to one type of content. I may focus on pirate theories, but I also do plenty of other things like art, fan fiction, guides, wiz, and things like that. The more you try your hand at the more of an audience gain you get and the less likely you are to run out of ideas. Lastly, I want to say this, its okay if you don't succeed, blogging about these games is a cutthroat business. You have to be a good writer, write about something people care about, be unique, frequently post, etc. But just know this, even though its cutthroat, its still possible to rise to the top. I hope you take my advice! Cya in the spiral!